David Cameron’s quest for the pink vote looks to be in serious jeopardy this week as yet another key Conservative party member expressed their anti-gay feelings. It is the third time during the current campaign that a party member has publicly gaffed and embarrassed Cameron who has worked hard to convince gay voters that anti-gay attitudes within the Tory party have changed. 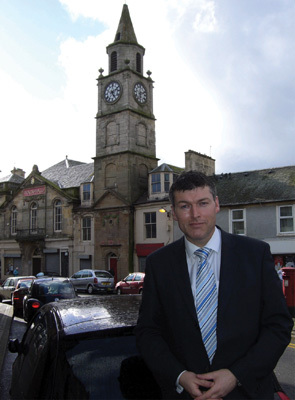 Philip Lardner, Conservative candidate for North Ayrshire and Arran, wrote on his campaign website that he could not accept gays as being normal – adding that “most” people would agree. Mr Lardner told voters: “With experience as a teacher and a believer in parental rights and responsibilities, as your MP I will support the rights of parents and teachers to refuse to have their children taught that homosexuality is ‘normal’ behaviour or an equal lifestyle choice to traditional marriage. The posting, headed “what I believe in” also included the view that the majority of the public believe homosexuality to be “somewhere between ‘unfortunate’ and ‘simply wrong'”. David Cameron has said he took the decision to suspend and withdraw Landers candidacy “within minutes”. As a consolation he added “I think people in the gay community know it is easier for people who are Conservative and gay to vote Conservative than at any time before. Within the last month two other key Conservative party members have made anti-gay statements embarrassing the Tory leader. The shadow Home Secretary Chris Grayling was forced to apologise after saying he supported the view that bed and breakfast owners should have the right to refuse gay guests. Julian Lewis, the shadow Defence Minister commented that the gay age of consent should not have been lowered to 16 because it puts teenage males at “a seriously increased risk of HIV infection”. Despite Cameron’s efforts gay support for The Conservatives seems to have nose-dived. A poll carried out last week by gay media site PinkNews.co.uk revealed that 58% of the 1,000 respondents intend to vote for the Liberal democrats in the forthcoming election. The Labour party achieved 21% and the Conservatives 9%. The general election takes place on May 6th. 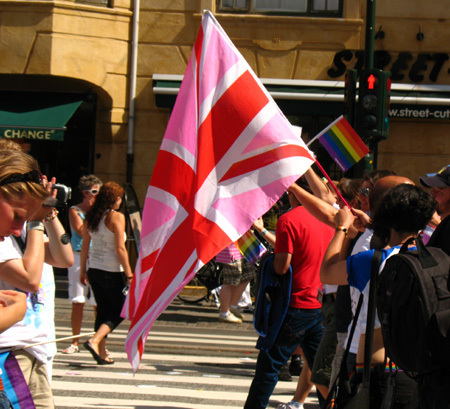 It may just be a case of promises, promises but all three political parties seem hell-bent on wooing the gay vote in the forthcoming UK general election. Liberal democrat leader Nick Clegg this week caused a media storm over his party’s commitment to gay equality. In an interview with gay glossy ‘Attitude’ Clegg said his party would implement laws requiring Faith schools to teach that being gay is acceptable and normal. Gordon Brown said in his interview with Attitude that Labour would push for recognition of UK civil partnerships across Europe. The current Labour government’s commitment to gay rights has been proved substantial: During their term they have equalized the age of consent, lifted the ban on gays in the army and introduced civil partnerships. It has been estimated that 3.6 million Britons are either gay or lesbian. Attitude magazine concludes that at a close election the gay vote could potentially “swing open the gates of Downing Street – or slam them shut”.